If you need to clear some space on your property, Green Clean Junk Removal Santa Barbara, CA is the team you can trust. Offering thorough junk removal, debris removal, construction removal, and more, we’ve been helping homeowners and office managers clean up their spaces for over 10 years. We provide some of the most reliable junk hauling in the Santa Barbara area, guaranteeing prompt, punctual service every single time. Here at Green Clean Junk Removal Santa Barbara, CA, we’re dedicated to serving a wide variety of customers. Whether you need total garbage removal for a real estate clean up or want a contractor to tear down your rickety shed, we’re the trash removal experts you can trust. Green Clean Junk Removal Santa Barbara! Santa Barbara, California is often called The American Riviera. For years now Santa Barbara has been the spot for tourists and those seeking a weekend respite from the constant thrum of Los Angeles, California. Santa Barbara is also home to several world-class universities and the home to several business leaders in finance, medicine, and agriculture. Green Clean Junk Removal services provide trash removal and junk removal services across Santa Barbara. We take great pride in our role in maintaining Santa Barbara’s reputation as the American Riviera. Green Clean junk removal services in Santa Barbara provide household junk removal for Santa Barbara’s residents. Whether you have junk in your home, garage, backyard, or front yard Green Clean junk removal has experts that can come and clean it all. Green Clean junk removal’s experts specialize in the quick and proper disposal of household junk. 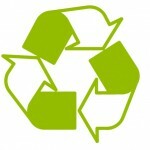 We recycle anywhere between 60% and 90% of the junk we haul away. Green Clean junk removal in Santa Barbara can also help clean up old household chemicals and paints that are lying around a house. Improperly stored paints and household chemicals pose an immense danger to you, to your family, and to your home. Green Clean junk removal knows how to safely dispose of chemicals and paints. Green Clean junk removal services in Santa Barbara also can help you dispose of old appliances, mattresses, television, and any other type of bulky item. Green Clean junk removal provides the sweat and the truck. All you have to do is tell us what you want hauled away. Green Clean junk removal services in Santa Barbara also provide construction debris hauling, construction debris removal, and construction debris disposal for contractors and do-it-yourselfers. Construction debris can be extremely hard to dispose of in Santa Barbara County. Green Clean junk removal services in Santa Barbara have experts that are skilled in the removal of construction debris. Leave the hauling of your construction debris to Green Clean Junk Removal.